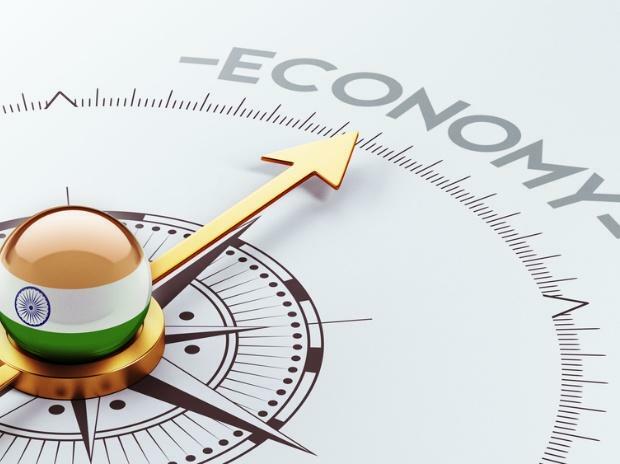 India’s economy started the New Year still hungover from the sluggish showing in end-2018, stoking expectations for more monetary stimulus from the central bank. A set of indicators tracked by Bloomberg to measure “animal spirits” -- a term coined by British economist John Maynard Keynes to refer to investors’ confidence in taking action -- showed weaker indicators outnumber stronger ones 4-3 in January. A pullback in exports and business activity weighed on sentiment. While a rates review is scheduled for April, a pulse check for the economy is due later Thursday, when the government will release gross domestic product data for the quarter ended December. As of Wednesday, economists forecast expansion to have slowed to 6.8 percent from 7.1 percent in the previous quarter. The seasonally adjusted Nikkei India Composite PMI Index was unchanged at 53.6 in January. While the manufacturing sector was in robust shape, the dominant services sector, which contributes more than 50 percent of GDP, showed signs of cooling. A key factor that kept a check on services activity was a softer expansion in new work, with companies noting only a moderate increase in sales. On a sequential basis, exports declined in January from a month ago. While shipments grew 3.7 percent on an annualized basis, economists doubt the pick up will be sustained as the global economy slows. With exports continuing to trail imports, India’s trade deficit widened in January from a month ago. In other words, the resultant negative net exports will likely be a drag on GDP. Consumer demand was stunted with passenger cars and two-wheeler sales taking a knock in January. Sridhar V, a partner at Grant Thornton India LLP, attributed this to the higher cost of finance and a shortage of loans from India’s shadow banking sector that is still recovering from the effects of a default by a peer last year. Shadow banks, which accounted for 30 percent of all advances in the economy over the past three years, are grappling with high cost of funds, which in turn have led to steeper lending rates for customers. Still, demand for bank loans grew 14.5 percent in January from a year earlier, according to Reserve Bank of India data. The Citi India Financial Conditions Index, a liquidity indicator, showed a slight rise in January, but overall conditions remained pretty tight to boost consumption. The index includes gauges such as short-term money market rates, government bond yields and credit default spreads. Growth in India’s core infrastructure sector, which constitutes 40 percent of total industrial production, slowed to an 18-month low of 2.6 percent in December as steel and crude oil output declined. Industrial production, however, showed some signs of a recovery. The index rose 2.4 percent in December from a year earlier, with the uptick largely coming on the back of growth in the manufacturing sector.